Anybody on a world Cunard cruise cannot but be charmed by the civilised behaviour of the crew and fellow guests. A day does not go by without any guest being encouraged to enjoy themselves by the large crew and fellow guests.Everybody is very considerate and helpful to each other. But there is one room in Queen Victoria where all this breaks down. It is called the laundrette. Here the genteel atmosphere throughout the ship evaporates in a mix of soap suds and wet clothes. 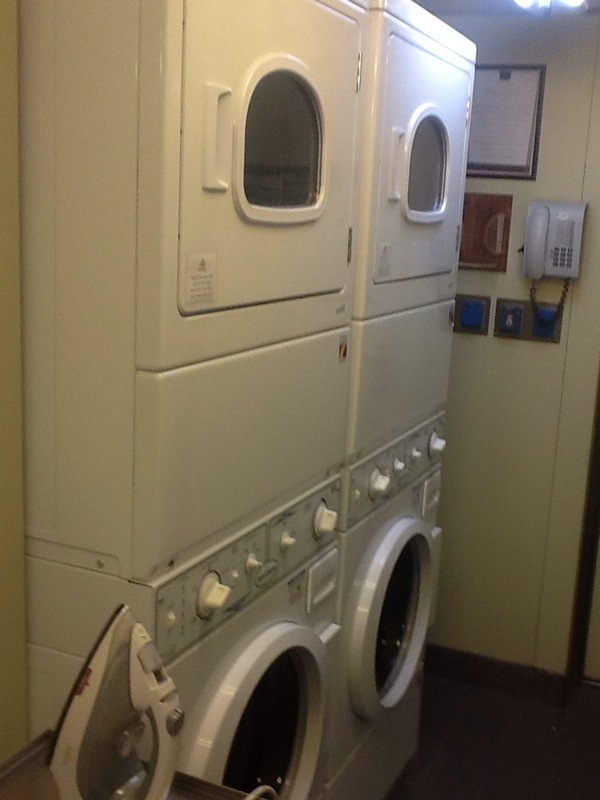 The laundrette is one of the few free services on board but there are only two or three machines for 100 or more cabins. And with 700 people going on a 108 day world cruise plus a turnover of some 1300 people at major ports demand is high. To get a machine normally polite men and women are transformed into duplicitous schemers resorting to any ruse to get their hands on the machines. ﻿When wiley women and aggressive men get going to grab a machine anything goes. One person even came armed with two fake ” Out of Order ” notices to attach to a washing machine and a dryer so she could get exclusive use during the voyage. The ruse was discovered when other suspicious guests tried using the machines and found they worked perfectly. More direct action has involved taking other people’s clothes out of driers and washing machines when the guests using the machines are out of the laundrette. One poor guest who had just loaded a washing machine and went out to get more dirty clothes came back five minutes later to find another guest had emptied her machine and replaced it with her clothes. By then she had started the machine and the first guest could do nothing about it. As for men aggression can spill over. One man furious that another guy had taken out his washing turned to the other and said ” How dare you run your fingers through my wife’s knickers “. A fist fight broke out and it is said that Cunard threw both of them off the boat at the next port. No wonder when you visit the Cunard laundrette you find a line of grim faced men and women guarding their machines with their lives and warning you there is a two hour wait before you need to come back. So far the ethos of take no prisoners has not yet led to any deaths. But there is still another month on this voyage so anything could happen. 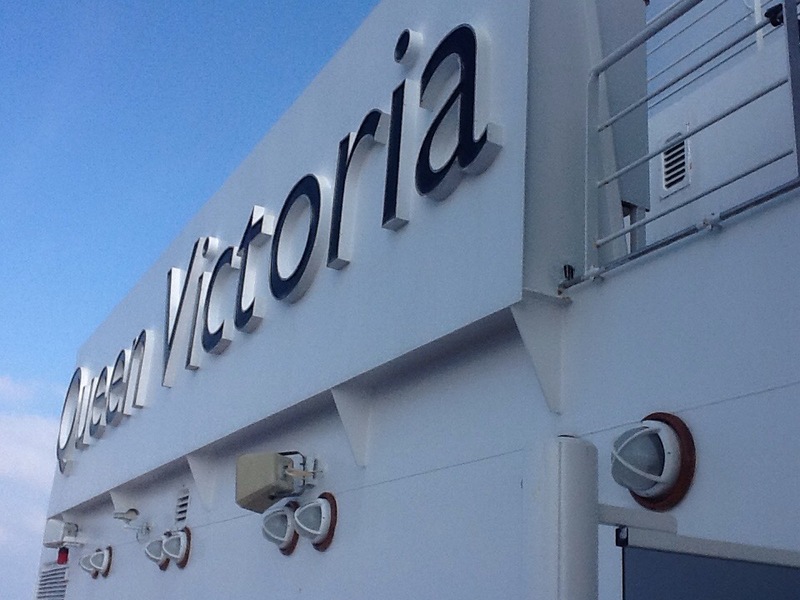 This entry was posted in satire, travel, uncategorised and tagged cruise, cunard, laundrette, Queen Victoria. Bookmark the permalink. Love it thanks David made me smile in what is otherwise a dour day watching the Brexit chaos, come to think of it the story emulates Brexit at the moment. Thank goodness I’m too poor to go on a cruise, Thank God more like it.!!!!! I often wondered how you take enough clothes for a short cruise never mind this long. This has made my day in the world of miserable headlines. Thanks David.